Planning a vacation or how to spend your professional development budget? I could not more highly recommend an investment of time and resources than PopTech’s next gathering. You can think of it as a luxurious intellectual cruise, where you consume delicious visions for the future, innovations to improve lives, arts to stimulate the mind and heart, and fellow passengers with whom to dream and more importantly, take on future adventures and paths of service. FAB was honored to be a participant of PopTech 2011. You can get a sense of what this gathering of minds and hearts is like by viewing this recording and this follow-up written interview. Namely, PopTech convenes an eclectic mix of thought leaders and visionaries and invites them to share their ideas and progress towards realizing them through a number of activities, including 20-minute presentations. These are not the typical powerpoint-filled plenary presentations or panels to which you’re accustomed at other conferences. The day FAB was on stage, for example, examined the themes of rebalancing, reframing, restoring and researching; presentations were made by a family historian, a Nobel Prize winner, a space suit developer, and a President. The same day, an iPad app was launched; a funky band played; and we met a slew of impressive young scientists and innovators. The experience was truly a cynicism evaporator. I am grateful to PopTech for this agora of ideas and came away with so many takeaways--some of which might end up on my list of resolutions for 2012 and most of which will directly contribute to my work. I encourage you readers to download the related podcasts and listen to them as you stand in holiday lines and travel to meet family and friends—you can think of it as continued education and inspiration sessions. Further, some of the speakers have written books that you might add to your reading or gift shopping lists. I hope they elevate your thoughts and spirit as they did mine. Thank you to PopTech, the speakers, and the audience for your undaunted ideas and gusto towards a world rebalancing. Be Tough on Ideas, Gentle on People: A “recovering” visual artist turned community builder, Milenko Matanovic shares his path from the pallet to The Pomegranate Center that builds much more than open-air gathering places—certainly a different approach to community development that honors consultation with all. Here’s a must see for anyone who calls themselves a community organizer as well as great ideas on methodology for the design of a product or service for a wider population. Rethink Africa: Unity Dow (Botswana’s first female high court judge, human rights activist, and writer) presents her version of “Dead Aid” and encourages those of us who seek development in Africa to think beyond grants and invest in its productivity. Enjoy her festival of ideas here. Reprogram your Brain: Founder and leader of World Access for the Blind, Daniel Kish explains how the visually impaired can reprogram their brain to achieve greater freedom and mobility through echolocation—yes, the same technique that bats use to navigate using sound. See and hear how here. Remember Power Poses Work: Amy J.C. Cuddy’s presentation demonstrates (with the help of Wonder Woman) how body language might empower us and send inferences that determine outcomes related to decisions, elections, hiring, promotions—perhaps success at accessing credit? Learn some moves here. Refer to it as the Majority World: Especially for those of us in Washington, we often pause to make the appropriate and respectful word choice when writing about our work outside our borders. Photographer, writer, curator, and activist Shahidul Alam suggests that instead of the “developing,” “Southern,” or “low income countries,” we call it what it truly reflects—the reality experienced by the majority of the world’s population. Click here to consider his rationale. Hey young people: don’t apologize for being smart. Aiden Dwyer (13-years-wise) reminded us of the power of youth and how they can move the world with their ideas—or in his case, design more efficient solar power. Yes, he is a junior high student with Venture Capitalists trying to “friend” him on Facebook. See his solar innovation here. Consider alternative currencies: Bernard Lietaer explains how we might reduce economic instability and liquidity crises by setting up alternative currencies, such as our frequent flyer miles. Learn more here about successful initiatives of new currencies, such as the Lithuanian Doraland Economy, the Torekes in Belgium, and Switzerland’s famous alternative currency, the WIR. Build from scratch: Designer Thomas Thwaites can relate what it’s like to produce a product from scratch. His story of reverse engineering a $7 toaster is relevant to those of us who design products and services for people whose lives are very different than ours as well as senior managers who aim to develop sustainable strategies that yield measurable and sustainable change. Watch how he made plastic from potatoes and what type of patience and tough-thinking is required to understand a value chain, opportunities of economies of scale, and importance of access to resources here. Think differently about “System D”: Robert Neuwirth argues that if the world’s street markets and other unregistered businesses were allied in a single political structure, it would represent the second-largest economy in the world, behind the United States. Listen here to find out to what he refers as “System D” and how it might create opportunities of employment and access to capital, one umbrella at a time. Crowd sourcing and gaming can help you do your work better: Professor of Computer Science and Robotics, Adriane Herman directs research that brings crowd sourcing, games, and advanced simulation techniques together to advance key areas of engineering and medicine. Click here to see think about how computer games, simulation, and animation might be useful to your work on educating clients or conducting market research. The American dream is alive in India: Despite all the challenges the Indian microfinance industry has faced Anand Giridharadas presents how access to finance and other changes in India are creating a “me-centric” individualism that breaks the shackles of the class system, which has limited upward mobility. Click here to consider his findings. In the meantime, it writes to acknowledge the rich learning and exchange of ideas it enjoyed through its participation in the 2011 SEEP Network annual conference. Day 1: FAB spent Member Day with associates of the SEEP Savings-Led Financial Services Working Group. With a focus on informal savings groups, the Working Group reported on an October 2011 gathering it organized, Arusha Savings Groups Summit, which brought together over 250 savings groups practitioners, representing 46 countries. The format of the conference was participatory and included debates, research presentations, small group discussions, and a World Café exercise to share ideas on how better to collaborate and achieve impact. In addition to a follow-up conference in September 2012 (sponsored by Oxfam and the Bill and Melinda Gates Foundation), the Summit resulted in the creation of a publication with six chapters on themes of importance to the industry that were discussed at the summit. These themes include the need for savings groups, related delivery channels, linkage of savings groups to formal financial services, savings-led development, development-led savings, and more. Among the contributing authors to this publication will be Jeff Ashe, Markku and Susan Johnson, Joanna Ledgerwood, Paul Rippey, Kim Wilson, and Megan Gash. We can all look forward to the publication in early 2013. In the meantime, enjoy this excellent website and blog regarding savings groups. Day 2: The highlight of day two for FAB was its participation in a Media Roundtable on “Major Microsavings Initiatives Worldwide” organized by the SEEP Network. A recording of this event is available here. FAB enjoyed enormously the opportunity to join a dialogue with Kate Griffen from the Grameen Foundation, Rashid Bajwa from the Pakistan Microfinance Network, and Nathanael Goldberg from Innovations for Poverty Action (IPA). FAB also appreciated and sends thanks for the chance to connect with friends of USAID’s microlinks via this short video introduction and with readers of Microfinance Focus in this write-up. "Can financial citizenship begin at birth? ", asks Bhagwan Chowdhry. 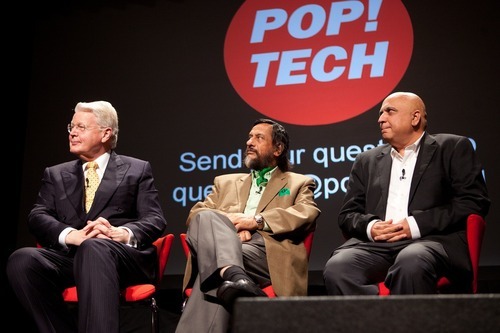 In this video, Professor Chowdhry introduces Financial Access at Birth (FAB) at the 2011 Annual PopTech Conference. Financial Access at Birth (FAB) is an example of the types of social and economic interventions that can support a world that is rebalancing, as the conference theme suggests. Disclaimer: The following is not an official endorsement by this blog or its host organization. It is a personal reflection of the author and an unabashed promotion of an upcoming workshop on Wednesday, November 2, at the SEEP Network Conference. “Genius,” I thought. It was yet another proud moment I experienced as a customer of ING Direct. In case you are not familiar with the financial service provider represented by an orange lion, ING Direct is the ING Group’s brand for a branchless direct bank with operations in a number of countries in Western Europe and North America. It offers services over the web, phone, ATM, or by mail. Operations in the United States began in 2000, and ING Direct is a member of the FDIC. It took me a few years to sign up, but I eventually did because their business plan allowed ING Direct to provide the most competitive saving rates that I could find. Namely, they reduced costs through branchless banking among other innovations. Although I did not have a huge amount to save, every penny that my savings could grow larger mattered. Not only does ING Direct figure out how to provide a better bottom line for its savers, ING Direct really knows its customers and tailors products and services accordingly. Moving into the youth finance space is just one example of being up-to-speed. Another illustration, among many others, is ING Direct’s ability to effectively communicate with its clients using terms and analogies that are easy to understand and are familiar. First, invoking the spirit of learning and experimentation we all felt during our pre-license days--brilliant. Can’t we all recall the mistakes we made when we exercised our driver’s permits? I’m sure our parents and older siblings in the passenger seat certainly do. Personally, I often wish there were learner’s permits (and related manuals and tests) for other critical functions in life like marriage, parenthood, in-law management, and beyond. Second, the choice of analogy goes further to suggest that financial management is something that can benefit from both text book lessons (financial education) but also practice that is accompanied by someone more experienced and invested in the long-term success of whatever skill is being developed under the permit. The recent economic crises have illuminated the significance of financial education, practice, and aligning interests for all of us. Third, ING Direct wisely positioned itself as a safe place, as a provider of a tool for a very formative period of learning and experimentation. This seems like a very practical way not only to deepen its relationship with its existing clients, but also to ensure acquisition and loyalty of new customers. Finally, even the product introduction (back to the email again) was in alignment with the limited time a parent has to plow through his/her inbox. It was efficiently summed up in 1 sentence and 4 bullets. The sentence: MONEY is a debit card and bank account that parent and teen manage together. My reaction: What a modern way to manage an allowance that could likely reduce the amount of wadded up cash a parent finds in the laundry--not to mention the information it provides the parent regarding spending habits that can be discussed with the teen. My reaction: Probably appears low risk and easy to the parent. I write an email to my older sister who is mother to a twelve-year-old, why not try it? My reaction: Seems practical for the parent with little time or those who travel not to mention the teen who navigates life with his/her Smartphone in pocket, purse, or palm at all times. Use anywhere MasterCard is accepted. My reaction: I wonder if learning from youth finance programs that the MasterCard Foundation sponsors informed MasterCard’s participation in this product. Even if no, I’m still impressed that their philanthropic efforts are in line with their mainstream business. Access to over 35,000 fee-free ATMs. My reaction: Obviously a delivery and access must and a second-reminder of money the parent can save by creating this opportunity of learning. It’s exactly this level of sophisticated product design and promotion I hope that participates of a workshop at SEEP’s annual conference might have a chance to practice. Namely, participants can chose to come to a session from 11 am to 12.30 pm to learn about another model that affords an early start to financial citizenship (Financial Access at Birth) and practice designing a product. In this case, it is a savings account that opens at birth, and the target audience is Samoa. After discussing why saving is so hard and being introduced to the FAB model, participants will be divided into groups, each of which will tackle questions to information design of the product and its promotion, delivery, and evaluation. Each break-out group will be facilitated with someone experienced in designing and delivering either (and in some cases both) saving products or youth finance products for the poor. While the market research and country analysis has been prepared in advance, participants will have a chance to practice how to digest and prioritize the information in order to answer questions related to needs assessments and feasibility studies. They will also identify what additional research questions should be answered before moving forward. Participants will link the research to design of the product and its delivery, while simultaneously witnessing how details (ranging from the legal, economic, social, and other lenses) are interconnected and should inform the overall business plan and success of any new product or service. Every fall PopTech convenes an eclectic mix of thought leaders and visionaries in Camden, Maine. This year, Bhagwan Chowdhry (member, CFI’s Faculty Council) and Rosita Najmi (CFI Program Manager) will be among the 700+ who join the 15th annual celebration for the intellectually engaged. You can participate from your computer and for free via simulcast. PopTech is a unique innovation network – a global community of cutting-edge leaders, thinkers, and doers from many different disciplines, who come together to explore the social impact of new technologies, the forces of change shaping our future, and new approaches to solving the world’s most significant challenges. PopTech is known for its thriving community of thought-leaders, breakthrough innovation programs, visionary annual conferences, and deep media and storytelling capabilities. PopTech’s mission is to accelerate the positive impact of world changing people, projects, and ideas. This is achieved by creating transformational experiences that showcase the ideas, trends, challenges and opportunities that are shaping the future. PopTech fosters breakthrough, multidisciplinary collaborations that help individuals, companies and organizations work together to change the world. Participating in PopTech offers a firsthand glimpse of the future, and a chance to influence innovation. Bhagwan and Rosita will be introducing Financial Access at Birth (FAB), and they look forward to getting feedback from the creative officers, research scientists, publishers, filmmakers, foundation directors, producers, professors, brand strategists, architects, social innovators, CEOs, health care practitioners, and design engineers who plan to attend. Financial Access at Birth (FAB) is an example of the types of social and economic interventions that can support a world that is rebalancing, as the conference theme suggests. Financial citizenship can start at birth. Every life deserves the dignity of financial citizenship. Financial inclusion is within reach. Real financial incentives (a business case) exist for stakeholders that would help implement FAB, including banks, telecommunication companies, governments, Central Banks, public health organizations, and families using remittances. Youth and Financial Inclusion: How Can We Give Them a Head Start?